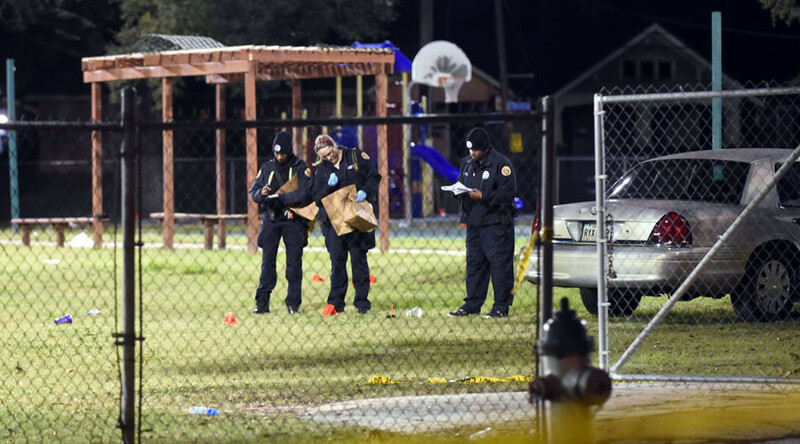 At least 16 people were shot in New Orleans, Louisiana when gunmen opened fire on a crowd of hundreds of people gathered in a playground for a video filming. Local media describe a chaotic scene, with the injured on the ground and ambulances rushing away. At least 10 of the injured shooting victims have been hospitalized to the University Medical Center, local channel WWLTV reports. Reporters working on the scene said the crowd of about 500 also included kids and teens. No kids were reportedly injured, but a number of teens have been taken to hospital. Conflicting reports citing witnesses said there could have been several – at least two – attackers firing at the crowd. New Orleans Mayor, Mitch Landrieu, and the city’s police chief arrived at the scene of the shooting and gave a brief press conference. Earlier reports pointed out that the Nine Times Second Line parade had passed one or two blocks away from the playground not long before the shooting. It was not immediately clear if there was a connection between the two, but some of the people at the event have been described as after-party-goers.